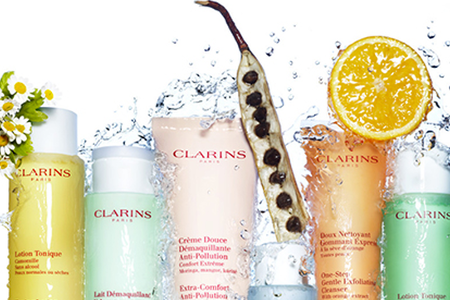 Clarins, a company defined by its unique expertise in plants and respectful of biodiversity. Using the best plants in their optimal concentration, combining nature, science and respect to always create more efficient and distinct products, that is Clarins! It also has an innovative approach to efficient beauty, which contributes to well-being, balance and happiness. That which seamlessly combines products and targeted application methods. Clarins, the French family brand that reveals the natural beauty of women across the globe. Clarins, it's all about you.